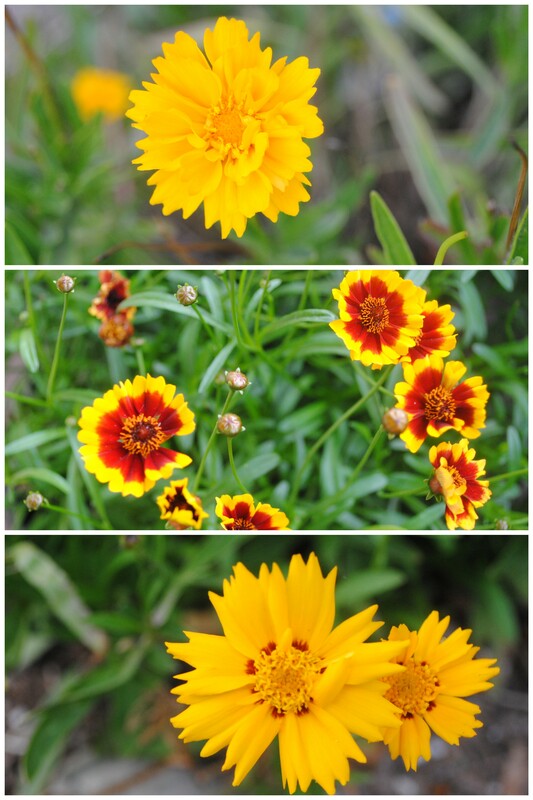 My dyer’s garden grew this summer from one coreopsis plant into seven. The more the merrier. My original idea was to collect the flowers and dry them separately to see if the different varieties created different dyes. Great goal, right? Except that summer is my busy-season as a parent: summer camp, pool, river, arcade centers (ugh, don’t get me started). I was pleased the flowers were at least collected. After a month of snipping and drying, I had enough flowers (and a few kid-free moments) to finally start a few solar dyes. I did an alum mordant on my alpaca yarn (oh how I’m in love with alpacas I just might need one for my backyard.) 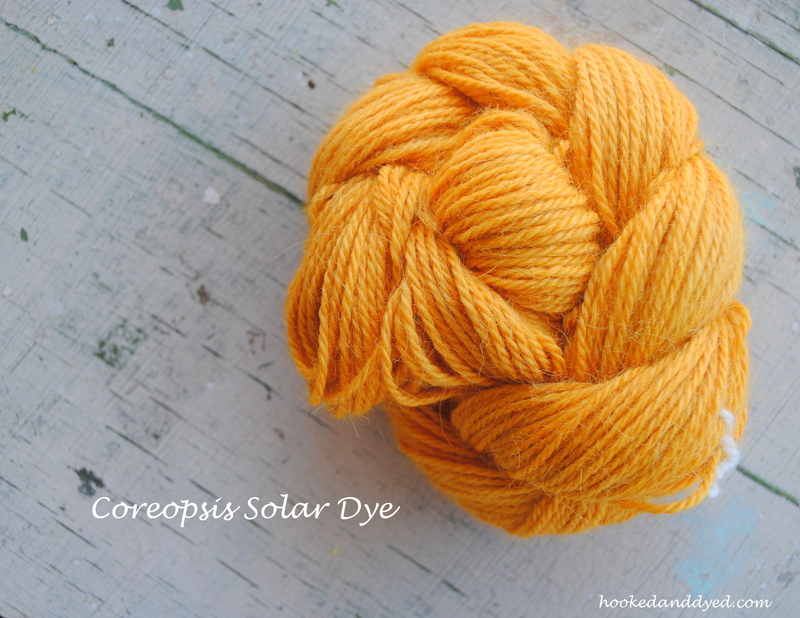 After my large jar of water and 1.5 ozs dried flowers sat in the sun for a few hours, I added one 1.5 oz skein. Back in the sun it went for 24 hours. While the result was rich and gorgeous, I wanted to try for that blood-orange red I achieved last year with washing soda. But, I was working with alpaca this time, and wasn’t sure if the washing soda would change the softness of the fiber. I dyed another 1.5oz of alpaca yarn, removed the skein from the jar, cautiously added a half-teaspoon of washing soda, sloshed it around in the jar until it dissolved, then put the skein back into the jar and back into the sun. 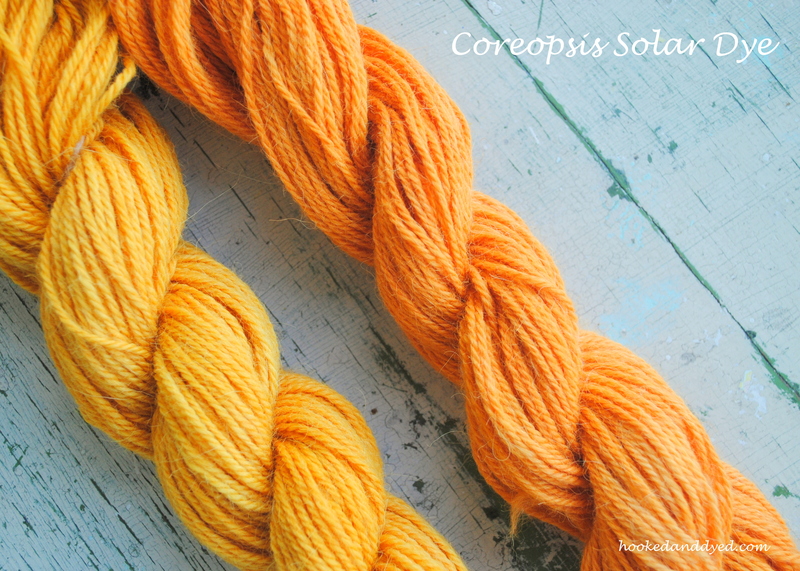 You can see that the washing soda turned the skein on the right a pumpkin orange, but not blood orange. Again, gorgeous. But not what I hoped for. I tried putting the dye on the stove with the thought that the dye needed a blast of heat. But the color stubbornly stayed orange. My guess – the original dye must produce that electric orange dye (like it did last year) to then darken it to that almost red with the addition of washing soda. Or, the different flowers do make different colored dyes, which explains the yellower tones in the original dye. Next time I’ll have to keep the different varieties separate. Unless someone reading this knows the answer — then please chime in and let me know. What a beautiful colour! Even though it’s not what you wanted. I have never tried coreopsis so I don’t have an answer to you problem. I’m struggling with black beans myself at the moment. I keep getting violet instead of blue. I’m thinking it’s either the different types of beans (like your flowers) or the PH of our tap water. It’s hard to know sometimes! Dyeing with black beans is on my dye to-do list. I bet the violet color is lovely, but I understand the quest for blue. Good luck!